Ever since the first gardener tamed the beauty of nature, roses have been particularly well loved, and this love affair between gardeners and roses continues to this day. Roses have long been seen as a symbol of love and lasting beauty, and there are many gardeners who choose to work with roses exclusively. There are even rose shows, where master gardeners gather to compete and show off their most beautiful blossoms. With all this interest in roses, it is only natural that so many new gardeners discover the power and the beauty of a home rose garden every year. Getting started in roses is not always easy, but with the right planning and knowledge it is possible to get off to a great start and enjoy beautiful blooms right from the start. 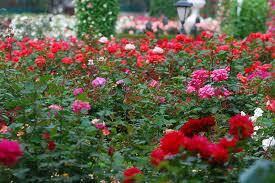 One of the most important factors for the budding rose gardener to consider is the climate in which he or she lives. Climate is an important factor when it comes to gardening, and no matter what the flower those that are suited to their climates tend to d o better than those who are forced to live in a climate that is too hot, too cold, too wet or too dry for their liking. Fortunately there are so many varieties of roses on the market today that finding one suited to your climate should not be difficult. It is a good idea for those new to growing roses to consult with the staff at the local nursery or garden center, or with a more experienced gardener, about which varieties to plant. It is a good idea for those new gardeners to start out with varieties that are easy to grow and well suited to the climate in which they will be planted. Despite the wide variety of roses available for gardeners to choose from, most roses share the same growing requirements. This similarity is a big boon to the new rose gardener, and it is important to study these requirements carefully in order to find the best place to plant the roses and provide them with the best care after they have been planted. Roses should be planted in the early spring in most parts of the country. The staff at your local nursery or garden center can give pointers on the best time to plant in your area. Another thing that most roses have in common is their love of the sun. It is important that roses get a minimum of six hours of sunlight per day, so it is important to choose the sunniest spot in the garden or landscape for your new residents. Getting your roses off to a good start does not have to be difficult. Once the appropriately sunny spot has been selected, begin by digging a hole that is both wider and deeper than the roots of the plant. After the dirt has been removed from the hole, it should be mixed well with a quality fertilizer. The hole should then be partially filled, creating a mound in the bottom of the hole. The roses should then be carefully removed from the container in which they were purchased. If the roses came potted, the pot can be cut away using a sharp knife or cutting tool. As the roses are removed from their container it is important to avoid disturbing the roots as much as possible. After the roses are free from their container, the roots should be carefully arranged so that they lie over the mound of earth and fertilizer you have created. This will help the roots spread out and in turn help the plant more easily soak up the water and nutrients it needs to survive. After the roses are in place, it is important to make sure that the bud union is even with the level of the ground. Soil can be added or removed as needed to make it even. After the plant is in its proper location, the rest of the hole can be filled with soil and carefully packed down.